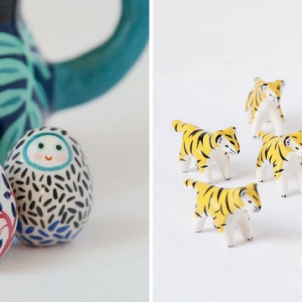 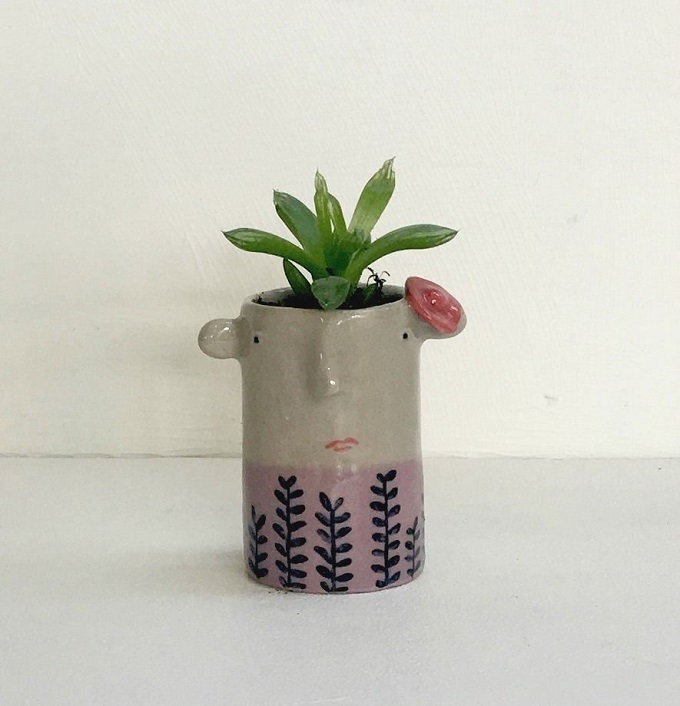 So it’s time to give a little update on how my ceramic adventures have been going up until now. 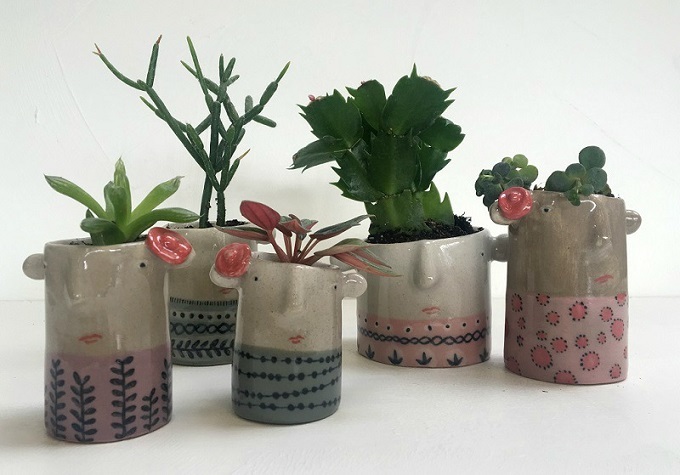 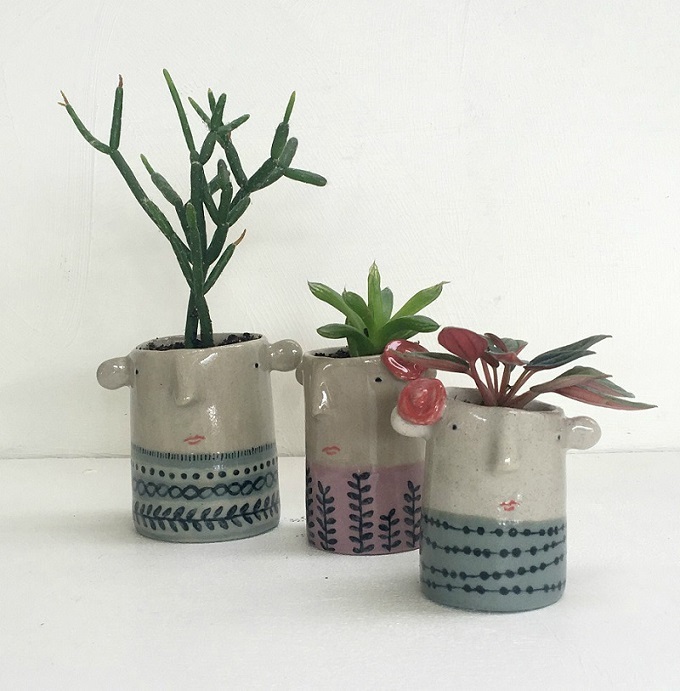 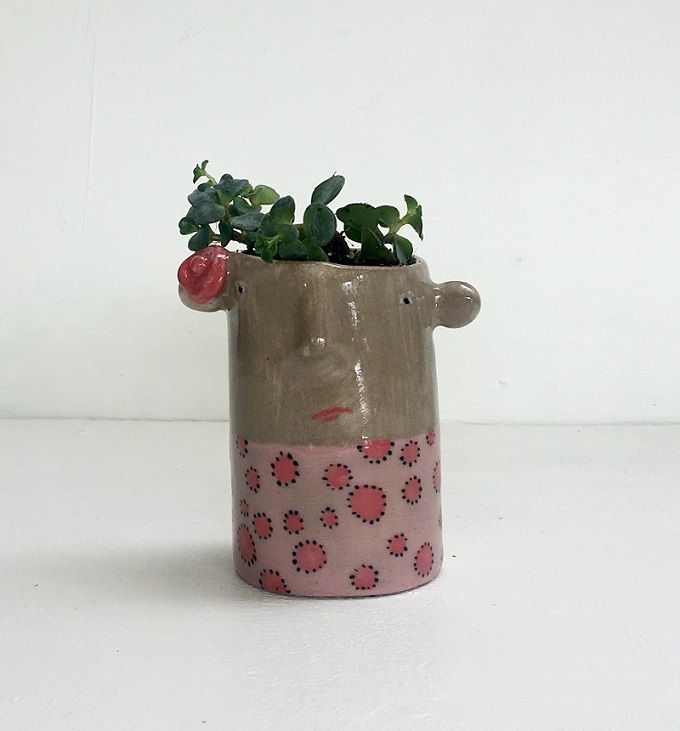 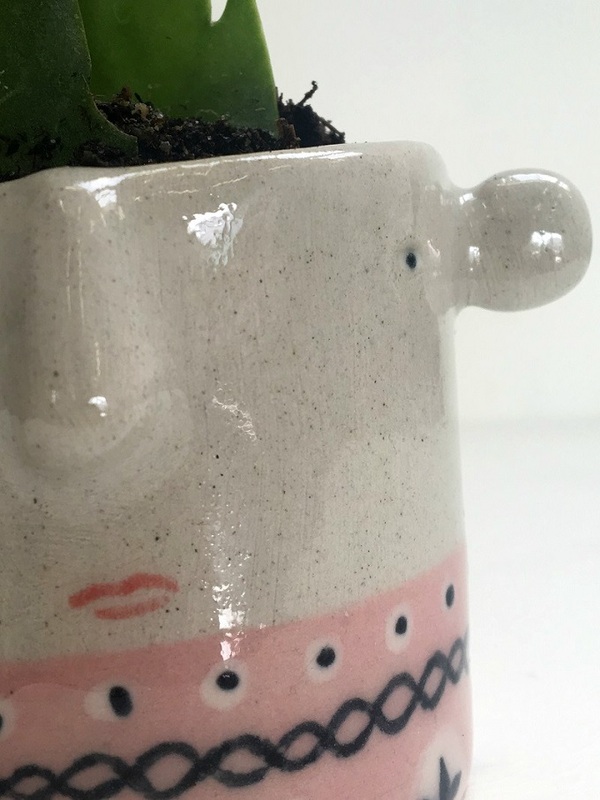 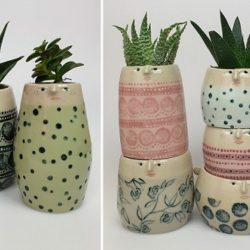 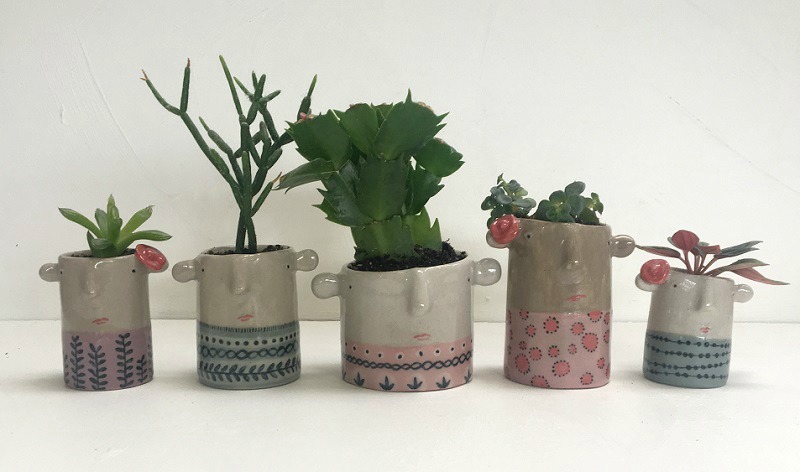 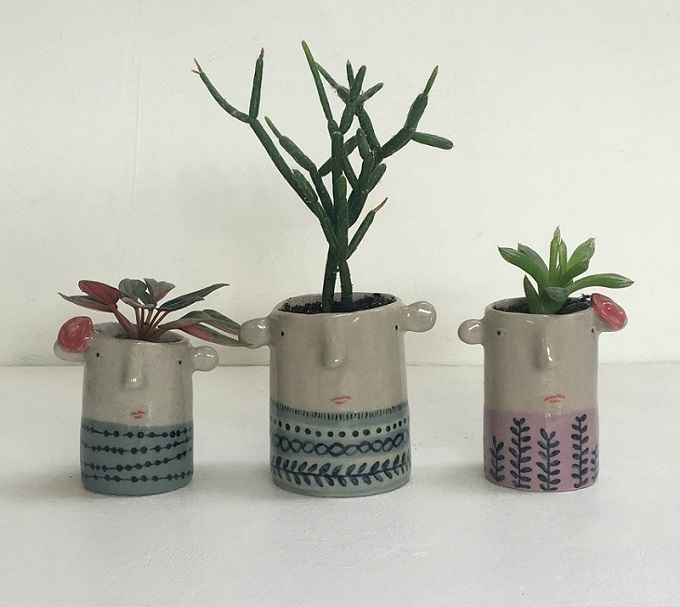 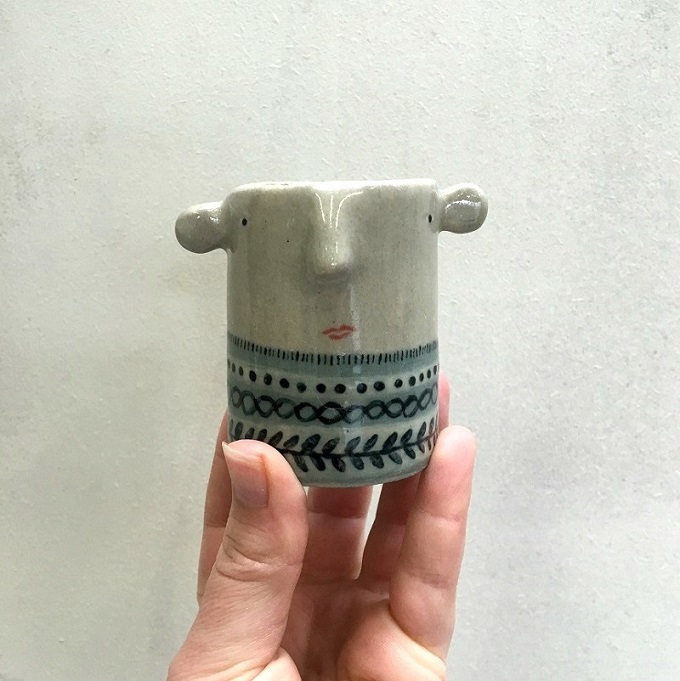 I remember that when I wrote my last update, I started creating more and more clay characters; tiny pots with eyes, ears and noses, some so small that they are better sculptures than functional vessels (although I did manage to put plants in all of them!). 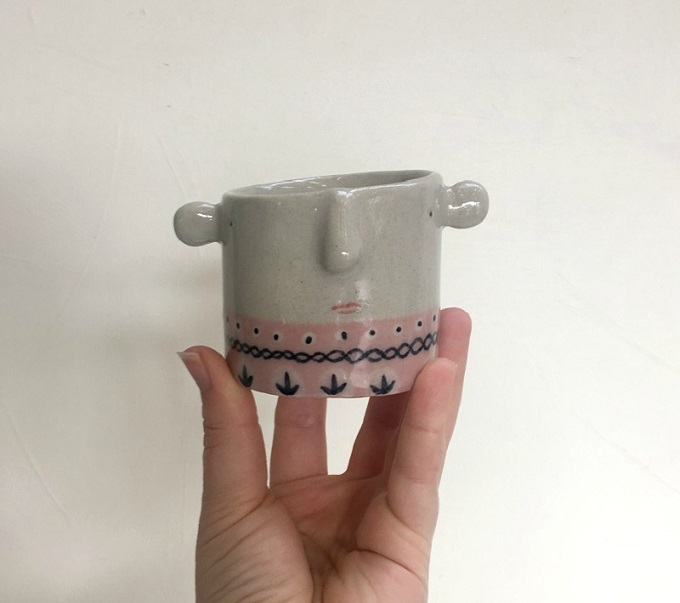 These last few weeks I have become even more focused on pots with faces and, yes, they are smaller than ever. 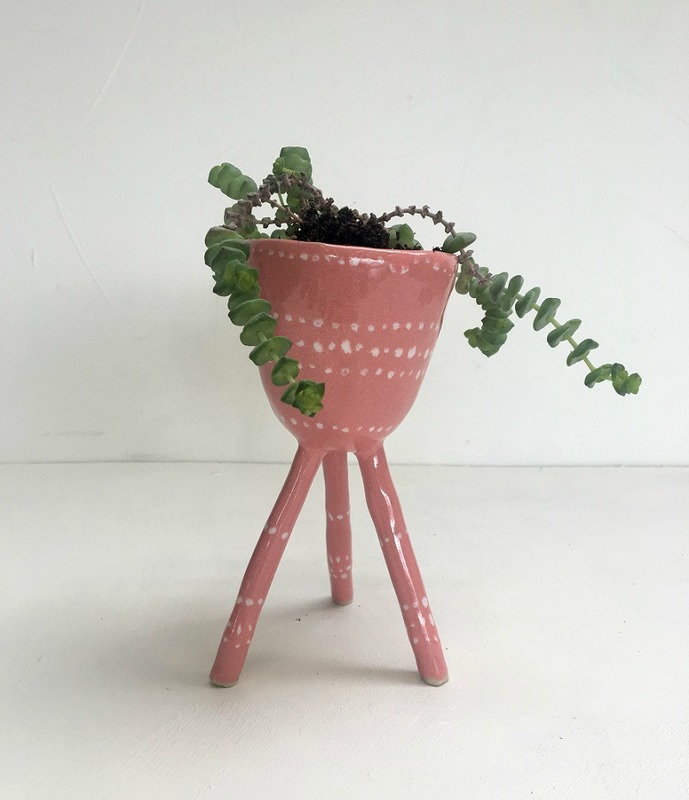 The fun part of creating characters is that, with every step of the progress, I slowly get to see them turn into characters. 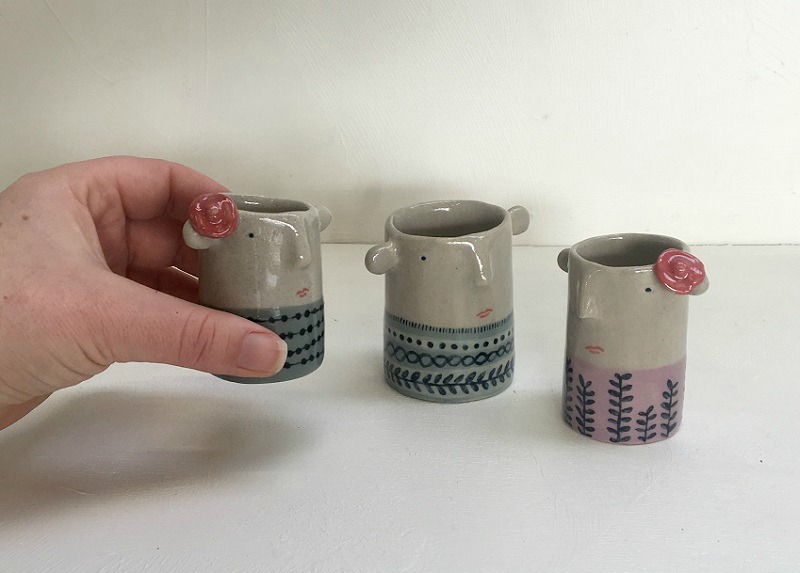 From sculpting their wobbly ears to adding patterns and painting their eyes and mouth, each of these steps have such different outcomes that I can’t resist giving them a name once they are finished. 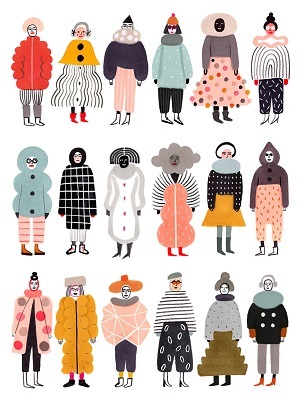 And the fun thing about giving the characters colorful coats, is that this allows me continue to experiment with different patterns and techniques while slowly discovering my own style. 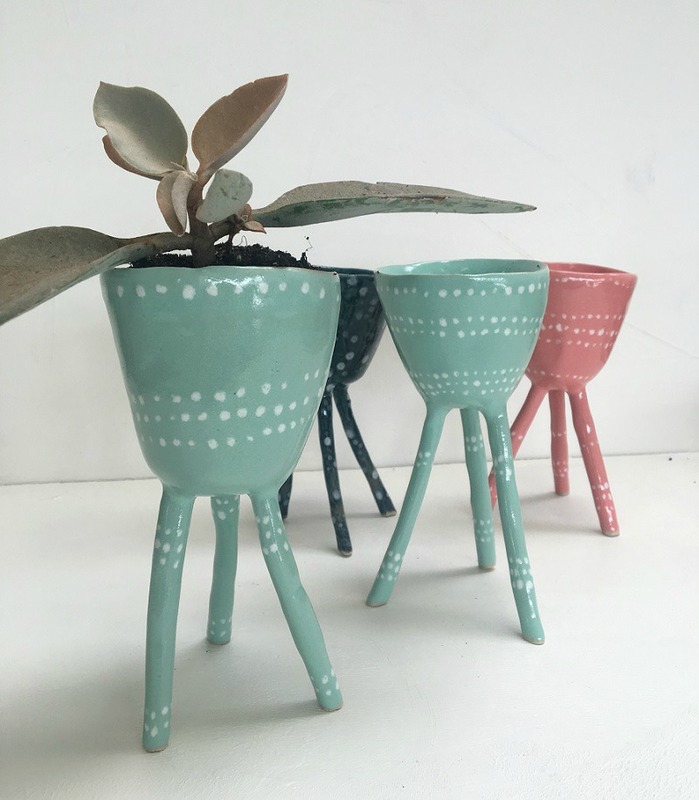 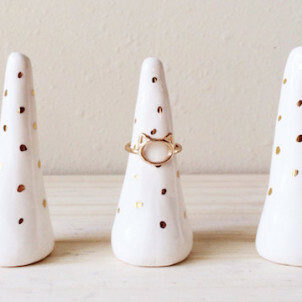 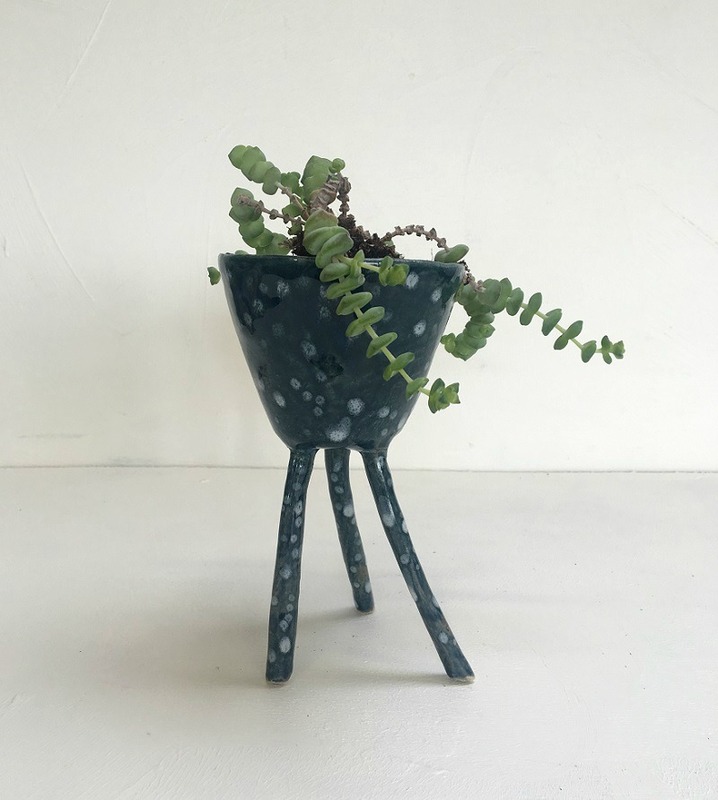 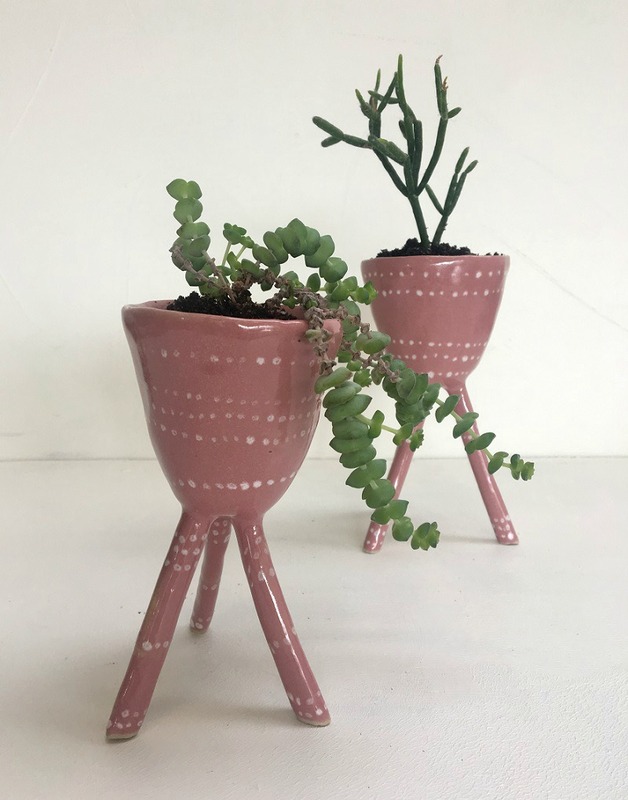 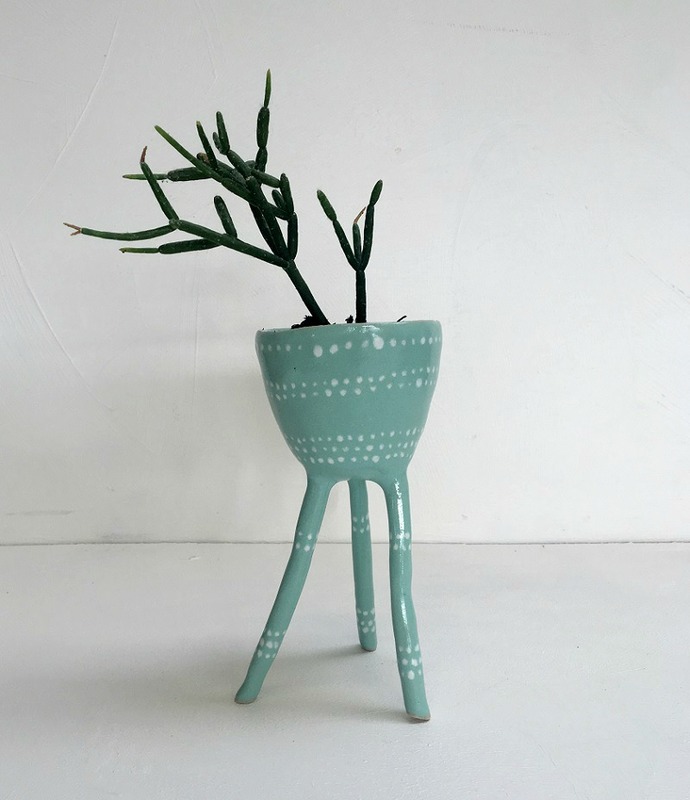 At this moment, a little pot called Betsy and a collection of tripod vases are still available in my Etsy Shop. 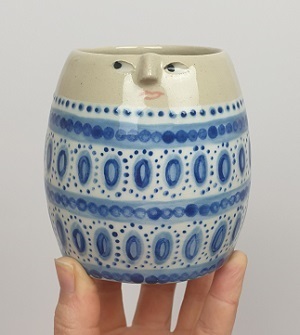 New pots are coming out of the kiln soon so it won’t be long before I will add new items to the shop. 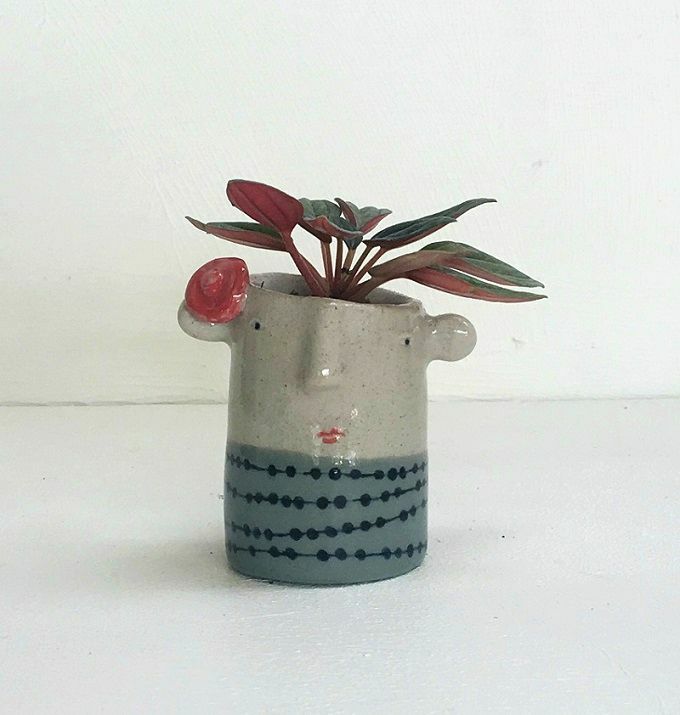 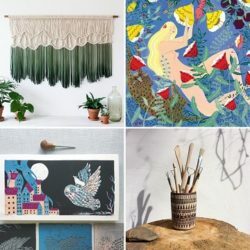 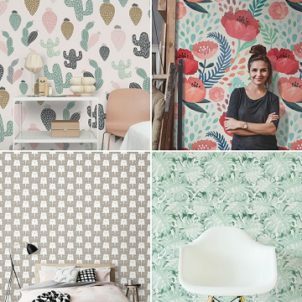 Once I know when my next shop update will be I will announce it on Instagram! 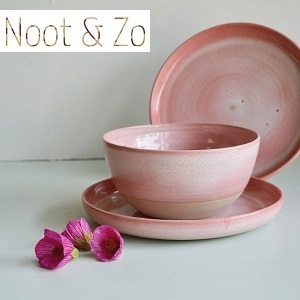 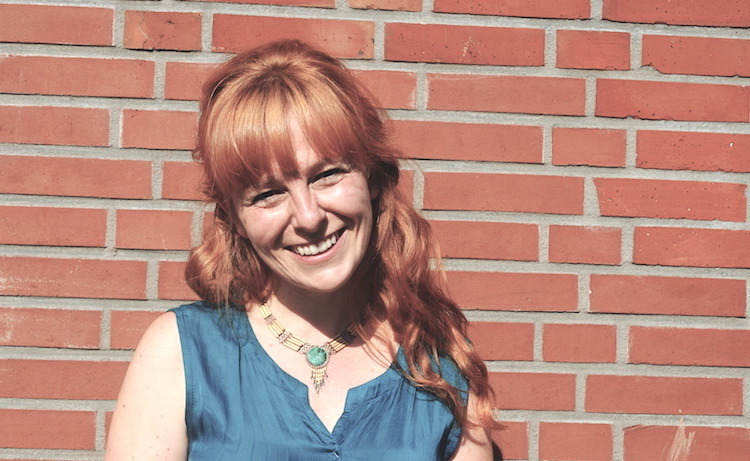 Last, another special thank you tot Suus and Ralph from the very inspiring Studio Noot & Zo, where I create my ceramics with lots of excitement and joy. 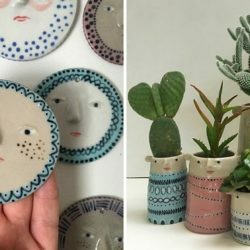 I have learned so much from these amazing people!